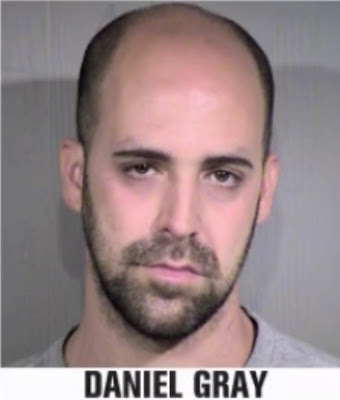 CRIME, GUNS, AND VIDEOTAPE: Was a Phoenix Ex Convict, Baby Daddy Really Smoking Weed While His Baby Cooked To Death in the Car? Any responsibility for a mom (Rebecca Hillery) who had a baby with Daniel only after waiting for him to get out of jail. She knew his past and was part of his present habits of them drinking excessively, smoking pot, and putting themselves before anything, even Jamison. Where does her responsibility lie in all of this??? The ONLY VICTIM here was Jamison! Proabibly won't be nominated for "Father of the Year". I have heard of boneheaded mistakes, but this idjit stood there and slow cooked not only brain cellls he obviously couldn't spare but his son as well. Selfish, and childish describe this behaviour, but not completely, why do people like this breed?? to the first poster, where does it say rebecca drunk heavily and smoked weed? all we know for sure in this horrible horrible story is that Daniel left the baby in the car when he was supposed to be caring for him. Making assumptions that she was negligent is not right, sure she could have picked a better father for her child but no one in their right mind would think he would do such a thing, she is now paying the ultimate price for her bad choice in boyfriend.